Well long time no upload. It's been awhile since I made something. 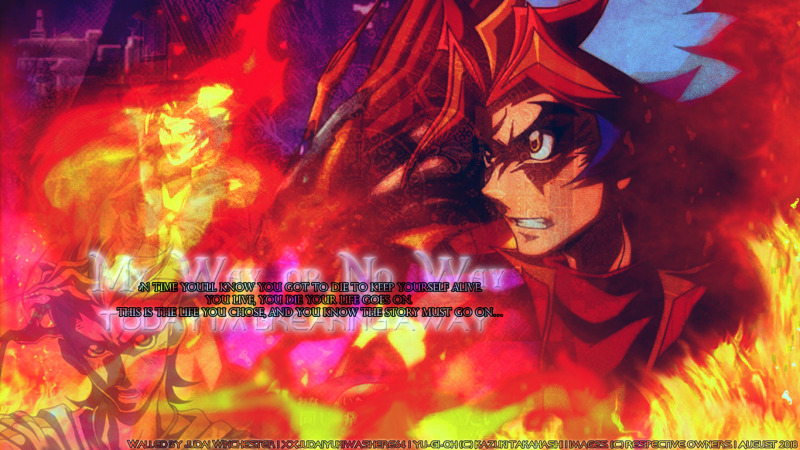 Needless to say, here is a wallpaper featuring the fiery new character from YGO Vrains, Soulburner. He is cool, awesome, and I can relate to him alot. He's been one of my favorite characters of the new season. His Ignis, named Flame is cool too. I made this as a symbol of overcoming the odds and getting stronger. Fire inspires me to create things with firey themes and characters. Hope everyone enjoys.